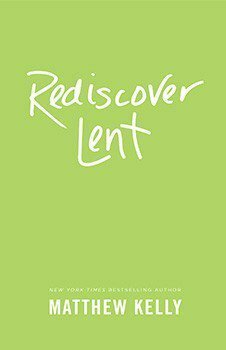 From the author of the bestseller "Rediscover Catholicism" comes an inspiring new way to rediscover Lent. Here, readers find a brief citation from a daily lectionary reading, a reflection on the beauty and importance of the Catholic faith and practice, thought-provoking questions for meditation, and a brief prayer. WHEN WAS THE LAST TIME YOU HAD A REALLY MEMORABLE LENT? People of every age yearn for God. This desire for God is written deep within the human heart. Whether we acknowledge it or not, we all have a longing to draw near to God and be in communion with him. We might not recognize this yearning for what it truly is, however. Instead we might seek to satisfy our longings with material things, relationships, careers—all of which were never designed to truly fulfill us. All the while, God quietly waits for us in the depths of our souls. He uses our longings to lead us to himself. Lent is the perfect time to stop and reflect on the state of our souls, to examine the way we live our lives. What habits need to change? How can we live more intentionally? How can we grow in our faith? What would transformation look like? A vibrant spiritual life is a great gift, but we don’t just stumble into it. Transformation happens when we look honestly at our desires and habits and seek real change with intentionality. During this Lenten time of renewal, let Matthew Kelly be your guide as you take time each day for prayer, reflection, and silence. As you seek the One who is seeking you, allow yourself to be inspired by new dreams and transformed by timeless spiritual disciplines. It’s time to rediscover Lent . . .